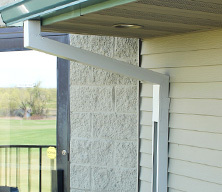 Hail damage is a common occurrence across Minnesota due to our extreme weather. In some instances hailstorms can bring hail the size of baseballs which can cause damage to roofs, cars, and all sorts of vulnerable items. When it comes to dealing with hail damage you’ll need to act fast and act smart. Hail damage is often covered by your insurance company but you need to provide them with the right evidence to get the compensation you deserve. Another concern, with regard to hail damage repair, is the appearance of out-of-town storm chasers immediately after the storm. These individuals will blanket an area hit by hail and look for unsuspecting homeowners in need of roof repair. They might pass out leaflets or even show up unannounced to offer a free inspection. The homeowner who falls for this scam is left with a poorly constructed roof, and the fraudulent company that was once so ready to help has vanished. 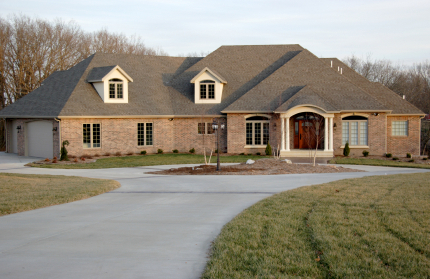 We encourage homeowners to always look for a local roofing contractor who has been in business for a number of years. You can trust that these hail damage roofers will continue to be in business, available to you, having done their work with integrity and quality. At Brigley Roofing, we work with all insurance companies to ensure that your claim is handled effectively and efficiently. We can even help you with claims caused by hail damage in the past. 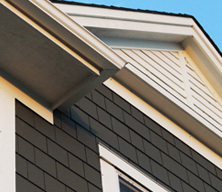 We offer a free estimate and inspection of your roofing, siding and gutter needs and can assess whether the problems have been caused by hail. If so, then you can rest assured that your roof replacement needs, as well as your hail damage claim, is being handled by the best in the business. Hail can range in size and severity and so can the damage caused by hail. Unless the marks are 100% visible, there is no ‘cut and dry’ hail damage insurance claim. Hail damage can cause problems over time rather than right away, which means that your shingles may look okay now but the damage will not be experienced until later. 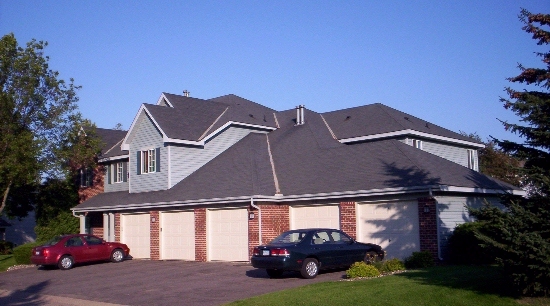 Minnesota hail damage is a common issue and thus the insurance companies have several ways to avoid covering a claim. In order to make a claim, you need to provide evidence, documentation and an inspection from hail damage roofers who know what they are doing. Hail damage can leave your shingles cracked which, over time, can lead to leaking problems as well as mold and mildew issues. Collateral damage including car dents, broken windows, broken skylights and tree damage. 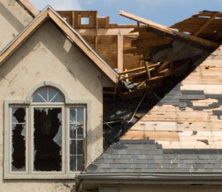 This damage around your home can indicate that your roof also took a beating. 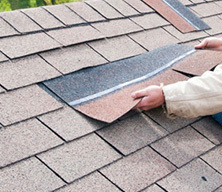 Tears or indents in the shingles – check the hips, ridges and sides of your shingles to see if hail has damaged them. A tear may seem like nothing now but it can result in mold and mildew problems as well as leaking issues down the road. Excessive granule loss – your shingles are made up of tiny granules that protect your roof. Check the gutters, the ground and other areas for excessive granules. A loss of these granules means a loss in the lifespan of your shingles. Contact Brigley Roofing today at (651) 458-5760 for a free estimate on your hail damage needs. We can provide you with years of experience dealing with these claims in Minneapolis/St. Paul and the entire metro area. 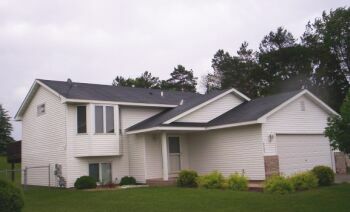 We know what the insurance companies want, we are a local roofing contractor, and we’ve been in business for many years. For these reasons alone you can expect integrity, expertise, affordability and quality from Brigley.